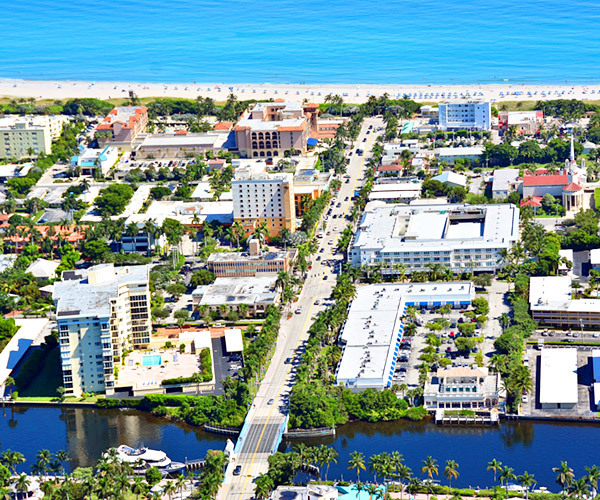 The small seaside town of Delray Beach was once home to pineapple fields and coastal jungle, and has transformed itself over the past century into one of South Florida's most vibrant communities and resort areas. From mom-and-pop shops to major magnets, Delray Beach's diverse community is home to a multitude of businesses on the rise. Visit an upscale mall or stop at the local farmer's market - Delray Beach has something for everyone. Delray Beach, Florida boasts a wide variety of homes for sale with everything from oceanfront condos to quaint cottages, from historic homes to modern masterpieces. Visitors and residents alike can relish in the richness of heritage and historical experiences preserved by the community of Delray Beach. FLRAPB is current as of 4/25/2019. FLRAGFL is current as of 4/25/2019.